Before spinning cinematic gold from sharks, dinosaurs and homesick aliens, a young Steven Spielberg directed this high-velocity thriller about an innocent motorist terrorized by an evil truck. 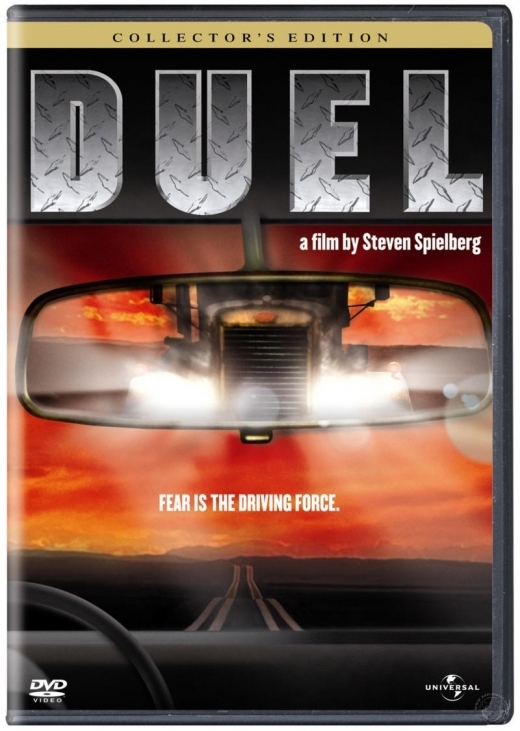 Spielberg's first full-length movie, "Duel" helped jumpstart the director's big-screen career, with a gripping, action-packed story hailed by critics as a film that "...belongs on the classics shelf reserved for top suspensors" (Daily Variety). Dennis Weaver stars as the traveling salesman waging a desperate battle for survival after he is mysteriously singled out for destruction. Praised for its deft use of relentlessly mounting psychological tension, "Duel" features one of the most uniquely terrifying "characters" in movie history: a massive, roaring 40-ton truck with more sheer menace than most flesh-and-blood villains. But Steven Spielberg was, literally, just getting started. A few years later, the action of Spielberg's blockbuster "Jaws" would echo "Duel's" tale of a lone hero in a heart-stopping fight to the finish against a monstrous, inhuman foe. This is one very captivating film. I am not one to get so far into the film as to yell at one of the actors to look out, but in this film I did. I was captivated nearly the whole movie. Such a great suspenseful film. The intro to the film is a little long, but be patient, it's worth the wait. I recommend this film to the whole family. I give this film a firm "4.5 Roos"